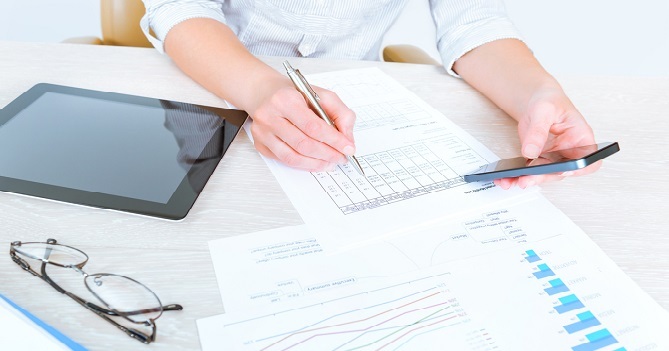 If you spend hours each April sifting through every pocket and drawer or searching your car’s nooks and crannies in search of tax deductible receipts and slips of paper with work miles jotted down, it may be time to rethink your tax-tracking strategy. Cut down on next year’s tax prep struggle by knowing which receipts to keep and using some tax tracking apps to keep you organized. Knowing what business expenses are deductible can help you know which receipts are worth keeping and what activities and expenses you should record and track. You should also consult a tax professional regarding your specific situation and deduction eligibility. With that in mind, here are five deduction categories you may qualify for. Business softwares, yard signs, client gifts (up to $25 per gift), post cards, flyers, social media advertising, your Homes.com account, and any other marketing and advertising expenses you incur over the year are all tax deductible. There are two ways to claim a vehicle deduction: add up your expenses to find the exact dollar amount or use the standardized mileage deduction to determine your deduction. If you choose to add up your expenses, things like gas, oil, repairs, and car washes are all deductible. If you use the standardized mileage deduction, you determine how many miles you drove for the tax year and a certain dollar amount is applied to each mile. You can also take deductions to cover car payments if you lease your car. If you own your car, you can deduct its annual depreciation. Uber and taxi expenses are also deductible. Annual memberships, desk fees, continuing education, attorneys, accountants, consultants, and other professional fees are all tax deductible. You can deduct 50 percent of your business-related travel, meals and entertainment expenses. Consult your tax professional to determine which expenses classify as business related. A portion of your rent/mortgage is tax deductible if you have a dedicated work space for your business (not including your kitchen or living room). See the IRS website for home office specifications. You can deduct your home office furniture either all at once, or by depreciation. A portion of your internet, cable and phones used within your home office, as well as office supplies such as staples, paper clips, and stamps, can also be deducted. Now that you know what kind of expenses are deductible, it’s time to choose a tax-tracking app or two to save your receipts and documents so that next year you don’t have to dig through old shoe boxes looking for car wash receipts. The apps below can save your receipts, connect to your bank and credit card accounts to update expenses, and track your miles (not to mention the money you spend on tax-tracking apps is tax-deductible). If you’re not looking to spend a lot on tax tracking apps, Expensify is a great option. This free app enables you to snap photos of your receipts and upload them to digitally save your receipts. You can also track your mileage and link credit cards to create updated expense reports. This easy-to-use app makes saving digital copies of your receipts easy. Just snap a photo and the app sorts, categorizes and archives your receipts. ShoeBoxed can also calculate mileage by comparing the addresses on your receipts and your phone’s GPS to create an “accurate” distance between locations. You can also purchase a prepaid envelope from ShoeBoxed and mail your receipts in for the company to upload into your app for you. Hurdlr links to your accounts to automatically keep track of your expenses. The app then categorizes the expenses to create deduction reports. The mileage tracker has an easy-to-use auto stop and start features that link to your phone’s GPS—it will also connect to your Uber or Lyft account to track your mileage. This app automatically tracks your trips and mileage without requiring you to open the app. When you do open the app, you just swipe left or right to indicate whether each trip was business or personal. Created with a user-friendly interface, QuickBooks Self-Employed comes both in app form and web form, and is a one-stop shop for tax and finance management. Link it to your bank account or credit card to find business deductions, auto-track the miles you drive, and create automated tax reports that you can send to your account or sync with TurboTax for easy filing during tax time. Plus, when you take a photo of any receipt, it will match it to your expense in the app. Also, as a partner of the National Association of REALTORS® Benefits Program, REALTORS® get a discount on the service. In order to have a stress-free tax season in 2018, it’s important to get organized now in early 2017. Another way to be ahead of the game in terms of your business is to invest in a quality lead generation program while it’s still early in the year. Start connecting with local buyers and sellers in your area while they’re ready to transact by claiming your Homes.com Local Connect zip code. Zip codes are going fast, so click here to reserve yours.